With more than 1.5 million start-ups being launched every year in the UK alone, it has never been more important to be able to convey brand identity, health and safety advice, and product information quickly, easily, and professionally. 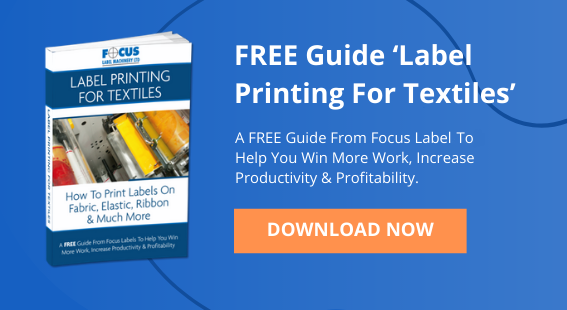 At Focus, we have watched the demand for flexo-printing steadily grow as printing providers look for ways to increase their productivity and remain cost effective. Throughout our 37-year history, we have continued to see new audiences emerging, and ever-growing need for flexography. 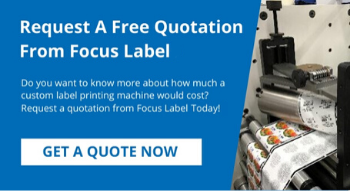 So, if you’re wondering whether investment in a new rotary flexo-press might be right for you, here are four of the reasons that have kept clients coming to our door. Our flexographic machines use polymer printing plates. Once made, each lasts for many print cycles. 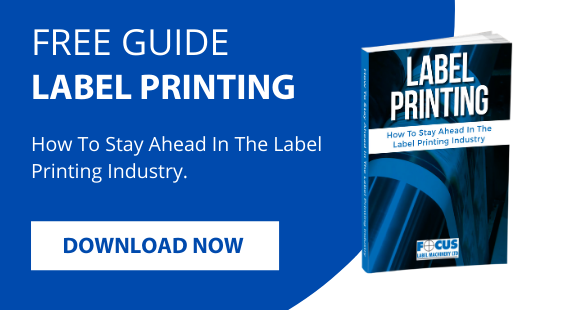 This means that if there is an image or text that needs to be printed many times, such as a brand logo or instructional label, a one-off purchase leads to immediate long-term savings. Recognising that clients might not know today what they will be printing twenty years from now, we support this with easy to use and adaptable technology. In today’s marketplace, customers need everything yesterday and are less likely to place large orders and stock what they see as a consumable. 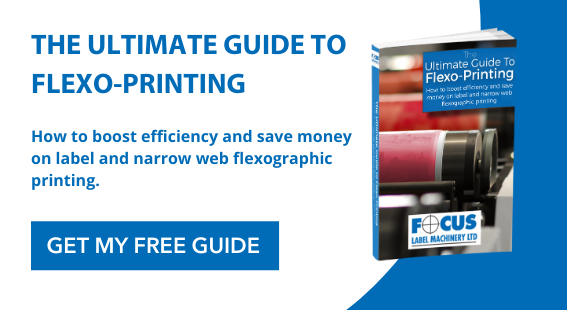 Of all of the things that flexography can offer, the gift of time is arguably the one that translates most directly to profit and modern flexo machines are designed to provide an effortless solution, it allows energy to be directed back where it’s needed: into innovation, promotion, and development. Understanding that printing time can be a complex variable when calculating ROI, we have introduced low volume/high volume capabilities into our machines. This means that – unless you want it to be - flexography is no longer about long continuous print runs. Instead, you control the volume, print short runs economically and the engineering takes care of the rest. The Flexo range has truly embraced the ‘flexibility’ element of the flexographic name. These machines start with the compact Centraflex. 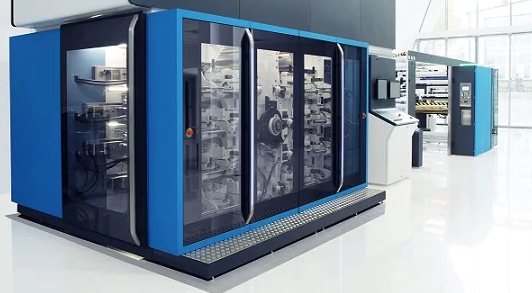 This tidy, space-saving machine is able to print on an almost unlimited range of non-fabric materials, including flexible films, plastics, paper, and card. Its 4 to 6 + 1 colour offers an impressive palette in a choice of inks, which is rapidly dried with either an infra-red or UV drying system. It offers no-nonsense choice, reliability, and predictability. Moving on we have the Reflex, Proflex & eflex ranges ..1 to 10 colours and web withes from 250 to 510mm. And that’s just the start. The eFlex, ProFlex, and Reflex models take this idea and add additional customisations and technology tweaks to increase speed, options, and control. This includes Servo & digital print technology, so that the interface is via a laptop. All flexographic machines are straightforward to use, but Servo makes production of smaller print runs and making adjustments effortless. This means that you’re free to instantly expand productivity if you spot a market gap, without having to hunt out a third-party supplier. For you, this equates to increased productivity. With greater flexibility, you’re free to take on as many new orders as you wish, all at the touch of a button. Arguably the most useful thing about going into the great unknown of 2019 with a Flexographic press in your arsenal is knowing that it is fully supported. We engineer our own machines, and as such, nobody knows them quite like we do. If there is a hiccup at any stage, our rapid response team will be with you immediately. It’s something that we’ve come to recognise is less of a service, and more a duty of care. We continue to innovate in the realm of flexographic printing. By pushing boundaries, we strive towards engineering creativity. However, at its heart, flexography has remained unchanged. It is economical, reliable, fast, versatile, and – if you work with a good supplier and designer – a well supported investment. If you’re interested, or would like to come and see some of our products in action, please get in touch. You might be surprised quite how much a new modern flexographic-hybrid press can do for your company!